Impossible Objects LLC, a company that was founded in 2009 and is backed by OCA Ventures, has launched Model One, a 3D printer which can produce functional parts using a wide selection of materials: carbon fiber, PEEK, Kevlar, fiberglass and other high performance polymers, helping build parts that are not only light, but also very resistant. Robert Swartz, CEO of Impossible Objects, has stated that Model One is just the first product in a series of 3D printers that will make full use of the company’s proprietary composite-based additive manufacturing (CBAM) technology. According to him, Model One can create parts that are 10 times stronger than the ones which can be created using a regular 3D printer. 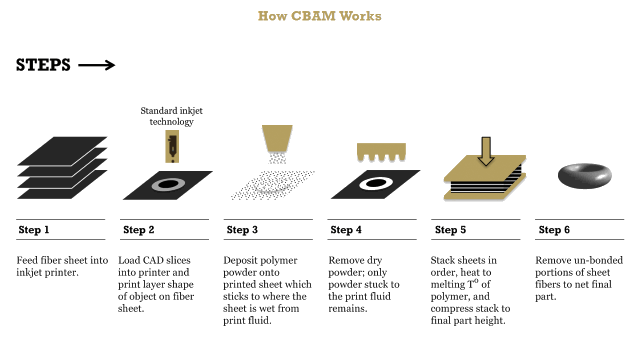 In addition to this, with CBAM, printing speed is 100 times faster in comparison with other additive manufacturing technologies. If all goes as planned, Model One will be available on the market in about six months. Companies that are interested in getting early access to this CBAM product can contact Impossible Objects by email and ask to be enrolled in the early adopter program. 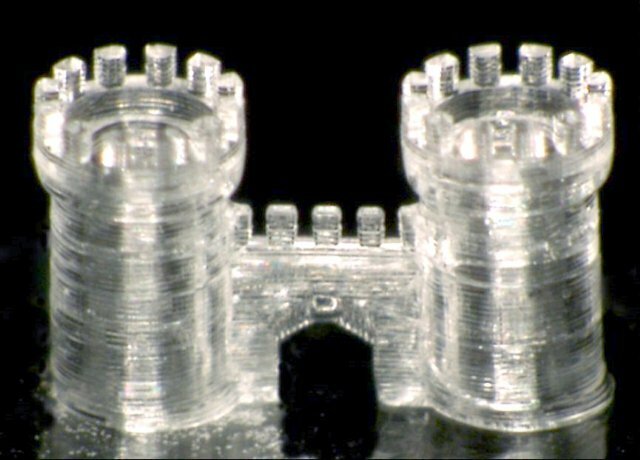 A unique method developed at the Karlsruhe Institute of Technology (KIT) has made 3D glass printing possible. Since glass is transparent, has a good thermal stability and is resistant to acids, the invention will be very useful in industries that make use of biotechnologies or fast data transmission. It is known that the current CPU manufacturing technologies are close to reaching their limits when it comes to speed/circuit size, for example. With 3D glass printing, it will be possible to create new CPUs that operate at higher frequencies and use less power. To make this invention possible, scientists have mixed particles of quartz glass and liquid polymers, washing the material in a solvent bath. The polymers have then then removed by heating the mixture, and the remaining glass was heated at a higher temperature, with the goal of making the glass particles fuse. OK, so this may not be your regular 3D printer, but I simply couldn’t resist the idea of telling you about it! Stop spending time chasing the perfect sweater – it simply doesn’t exist! 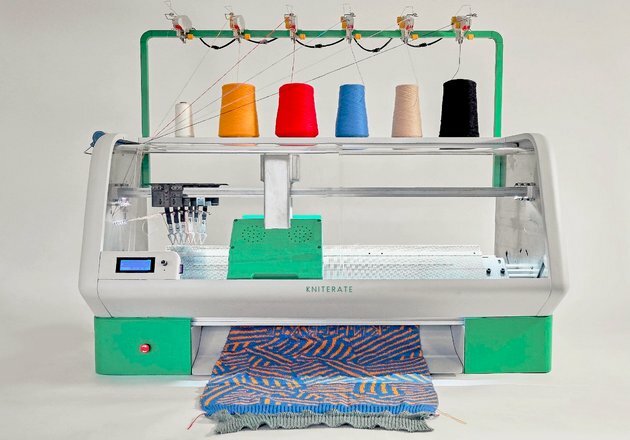 It’s much easier to buy a Kniterate, design your sweater using a regular computer, and then “print” it at home. Gerard Rubio, manager of Kniterate, states that anyone can create a design using the software application that comes with the machine. And if you don’t want to use that app, you can utilize any other digital design application. Then, once the design is finished, it can be transferred to Kniterate’s memory, and the automated knitting process can begin. The device can finish most jobs in 2-3 hours, and (unlike your dear old granny) it doesn’t waste any yarn. Kniterate is currently raising funds on Kickstarter. Actually, the company has raised 600% more money than its initial goal within a single month, so it will be brought to life. And when a product gets this type of support, it is clear that we’re talking about a fantastic innovation, who has the potential of changing the lives of many people. If all goes as planned, Kniterate will be available at the beginning of next year. It’s going to be quite expensive at just under $5,000 USD, but I can totally understand why designers will want to have one in their living rooms. In fact, I could also see (let’s say) five friends teaming up to buy a Kniterate, and then launching a small business around it. A less expensive, smaller sized version of Kniterate may be released in the future, according to the CEO. I’d say that this version is better, though, because it won’t limit your knitting abilities to designing a sweater for your cat (or mouse). Hello again! This time we will explore 3D Wi-Fi Bubbles, a curiously (but accurately) named invention of George Delaportas, a young Greek entrepreneur with a passion for innovation and technology. The author claims that his invention is the biggest Wi-Fi innovation ever! 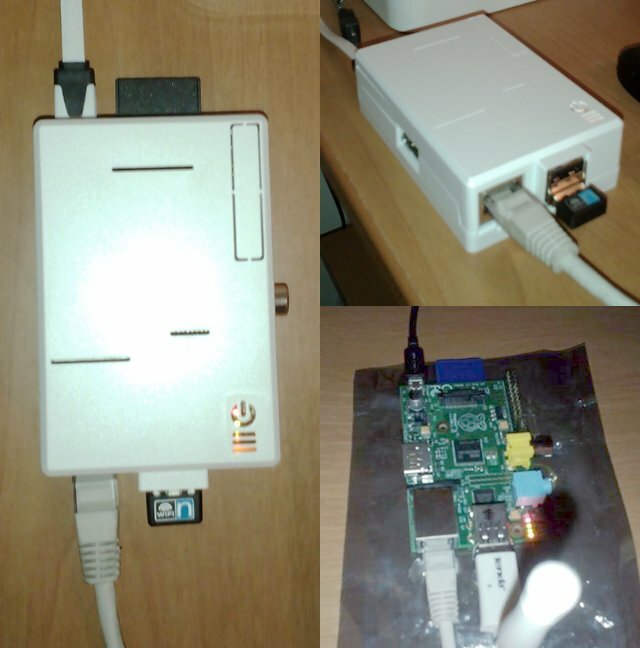 Let’s find out if his claim has a solid base, and why has he used a “3D” sticker for a Wi-Fi product. 3D Wi-Fi Bubbles, which is currently gathering funds on Indiegogo, is branded as a hospitality / tourism Wi-Fi solution that can also be implemented in underdeveloped countries. The hardware + software combo operates in a dynamic 3D space, called a “Wi-Fi Bubble” by the author. – Finally, it can be white labeled, so each business owner can have a dedicated mobile app built for his/her particular needs. Take a look at the image below to see an early, and yet 100% functional prototype. In fact, George has already installed his invention in three different places in Greece (a cafeteria and two hotels). It’s easy to install 3D Wi-Fi Bubbles! Just plug in its power adapter, connect an Ethernet cable to it, and then enjoy its unique features. 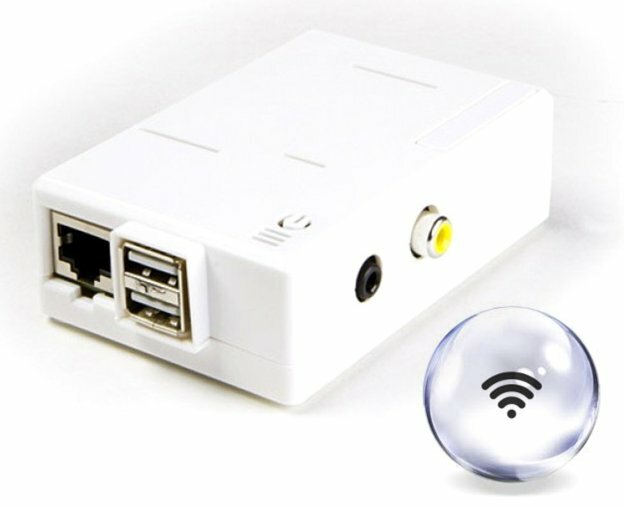 Visitors will simply have to choose the “3D-WiFi-Bubbles” network to connect to the Wi-Fi network. e) A power adapter. For best results, George uses a 2 Amp model. He recommends a European (220-240V) model on his Indiegogo page, but fortunately there are many other US adapters which can deliver the needed power, in case that he ever decides to market his invention across the ocean. The hardware is a slightly modified version of the Raspberry Pi board, and the custom-built software does all these intelligent things. The main invention is the “3D WiFi Fencing” algorithm, which enables a very precise Wi-Fi range control. So, what is so special about 3D Wi-Fi Bubbles, once again? First of all, it helps people connect to the Internet without needing a password. Then, it prevents unauthorized persons from accessing the owners’ Wi-Fi networks. This saves the owners money, helps them attract more people and keeps them out of trouble. Many hackers connect to active hotspots without the owners knowing about it, and then they use special software to sniff data packets, with the goal of grabbing the visitors’ passwords and personal information. With 3D Wi-Fi Bubbles, this issue is fixed for good. I don’t know about you, but I look forward to seeing this device hit the market.